The Amped wireless High power AC1750 Wi-Fi range extender expands the range of any standard 802.11a/B/G/n/AC Wi-Fi router by repeating the signal (2.4GHz and 5GHz) and redistributing it in a new, extended location at blazing-fast speeds. The RE1750A is equipped with a total of twelve amplifiers, including six 2.4/5GHz amplifiers and six low noise amplifiers. The amplifiers combined with three High gain external antennas provide up to 12, 000 sq. Ft. Of additional Wi-Fi coverage. The range extender features AC1750 Wi-Fi speeds to provide enough bandwidth for the most demanding networks with a large number of connected devices and simultaneous 4K or HD streams. 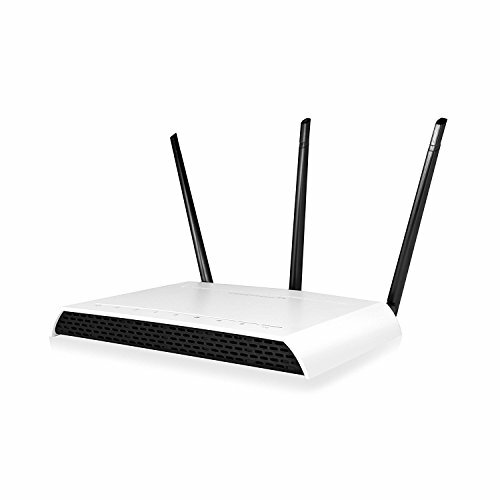 It is built with five Gigabit wired ports for connecting and bridging additional network devices, such as a PC or TV, to your Wi-Fi network. The RE1750A works with all brands of standard single band or dual band Wi-Fi routers and service provider gateways. Add the RE1750A to your network and start enjoying blazing-fast Wi-Fi where you want it most.